Over the fence from my house, beyond the desert (that was in fact a sandy parking lot of the markets) and across the swampy creek was my high school, William Carey Christian School, which I will call ‘William Carey‘ for short. It’s funny that the school was named after a great evangelist (missionary) for it was through this evangelical school that Jesus had truly become a part of my life. 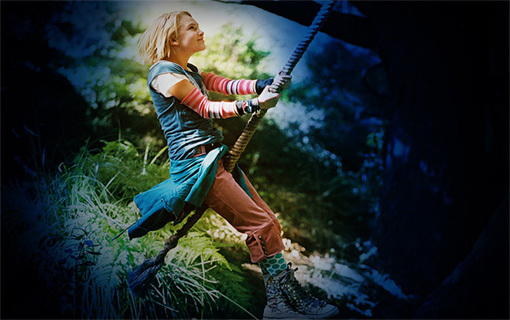 This movie reminded me of how I got to and from school, although I was never really brave enough to tie a rope to a tree and swing across it.